← 2016 NRL Final Trimester Report Part 4 – There can be only one! I’m pretty sure I say that every year. I might even talk about something other than Rugby League next week. I bet most people have never heard of Kabaddi. I will talk about that next week. I dread this day a bit (not really). It is when I look back at my 2016 NRL Preview (Part 1, Part 2, Part 3 and Part 4) and analyse how close or how far off I was. I’ve even designed a metric to determine whether I’m getting better or worse. It’s worse BTW. Oh and I’m not letting the bookies off the hook either. They’re worse too. It is obvious to me that the more football I watch, the worse I get. Melbourne Storm – Definitely Cooper Cronk, given he won the Dally M, but Cameron Smith was not far behind. Canberra Raiders – Blake Austin had a funny kind of season. He wasn’t as dynamic as last year (probably a combination of injuries, form and better marking) but the Raiders were better. Josh Hodgson was the Raider’s best. Cronulla-Sutherland Sharks – Paul Gallen was solid but Benny Barba was Cronulla’s best with Michael Ennis, Andrew Fifita and James Maloney not far behind. 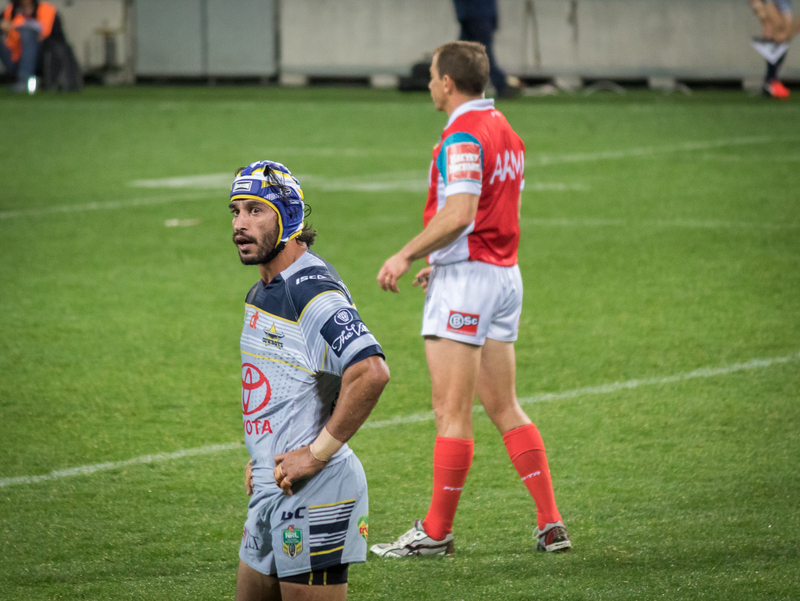 North Queensland Cowboys – Johnathan Thurston had to play second fiddle to Jason Taumalolo this season but the original JT was a very close second. Brisbane Broncos – Ben Hunt had a disappointing season compared to last year, but Anthony Milford continues to get better and better. He is unstoppable or at least very difficult to stop. Penrith Panthers – Matt Moylan was Penrith’s best player. Canterbury-Bankstown Bulldogs – James Graham narrowly over Josh Reynolds, who I thought was excellent as well. Gold Coast Titans – Ryan James by a country mile. Wests Tigers – Mitch Moses emerged from the shadow of Luke Brooks in a big way. New Zealand Warriors – Shaun Johnson started the season slow but was the Warrior’s best. St George Illawarra Dragons – Gareth Widdop was the best of a bad bunch. Tyson Frizell was not far behind. South Sydney Rabbitohs – Sam Burgess had a strong season. He didn’t get a lot of support though. Manly-Warringah Sea Eagles – Tom Trbojevic narrowly surpassed his brother as the best of the Sea Eagles. Disappointing year for DCE and Manly in general. Parramatta Eels – Just a washout for Kieran Foran in every way possible. Corey Norman continues to improve. Sydney Roosters – Mitchell Pearce, once he was on the field. Newcastle Knights – The Knights were abysmal but Dane Gagia was their best. 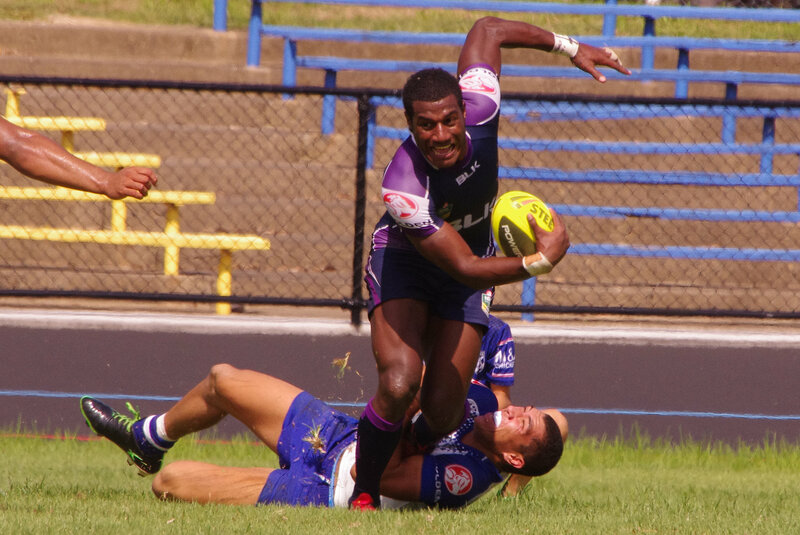 Melbourne Storm – Suliasi Vunivalu emerged from nowhere to top the try scoring charts along with Jordan Rapana. Ineligible for State of Origin so hopefully plays for Fiji rather than Australia. One can only hope. Canberra Raiders – I’ve picked Brenko Lee for my Young Gun award two years running and he did get 9 starts this season but rugged forward Clay Priest was the best of those who qualified for the award. Cronulla-Sutherland Sharks – Cronulla was a model of consistency and unsurprisingly, given their form and lack of injuries, didn’t field many rookies. Queenslander Kurt Capewell wins by default. North Queensland Cowboys – Javid Bowen had a great season deputising in the centres for the Cows with an honourable mention to Coen Hess. Kalyn Ponga has a big future but he only played a couple of times. Brisbane Broncos – Jai Arrow is a star in waiting, especially given the retirement of Corey Parker, but Tevita Pangai Junior had the largest impact of the debutantes. Honourable mention to Tom Opacic who was very solid in the centres. Penrith Panthers – Penrith blooded one of the highest quotas of young players in the competition and Te Maire Martin was impressive prior to his season ending injury but Nathan Cleary was amazing and he gets the nod for this one. Honourable mention to James Fisher-Harris who skipped from the 20s to A-Grade to the NZ Kiwis in 1 year. Impressive! Canterbury-Bankstown Bulldogs – I haven’t given up on Brad Abbey. It seems a formality that he will eventually crack the top grade but Kerrod Holland made the most of his opportunities this year. Gold Coast Titans – It had to be a special performance this year to keep Nathan Cleary from winning the Rookie of the Year award and Ashley Taylor did have that kind of a year. Leivaha Pulu was another bolt from the blue. Wests Tigers – Josh Aloiai was the first player in the history of the joint venture to play every game in his debut season. The young kiwi should play many, many more. New Zealand Warriors – Nathaniel Roache was the best of the debutantes for the Warriors. St George Illawarra Dragons – Drew Hutchison will likely get first shot at Benji’s spot but was hardly sighted in 2016. Jacob Host is a promising young forward that played 8 times and wins the Young Gun Award for the Dragons. South Sydney Rabbitohs – Cody Walker is one of a host of late bloomers who have emerged in the last few seasons, securing a spot in the halves despite the presence of Luke Keary, a precocious talent in his own right. Manly-Warringah Sea Eagles – Addin Fonua-Blake was one of the lone bright spots in the Sea Eagles pack this season along with Jake Trbojevic and Siosaia Vave. Parramatta Eels – Bevan French was as good as advertised, blazing his way to 19 tries in 13 matches. Sydney Roosters – Latrell Mitchell had some growing pains but was still clearly the best young player at the Roosters with honourable mention to Connor Watson. Newcastle Knights – Couldn’t split the Saifiti twins so I gave first prize to both of them. Melbourne Storm – Well Billy is a shoo-in for this award if he isn’t injured and I thought Cameron Munster would also be a prime candidate but he had a solid presence at the back rather than a dynamic one. Will Chambers was probably the strike player that best qualifies. Canberra Raiders – It is hard to split Joey Leilua and Jordan Rapana so this one goes to Leipana who rampaged their way through the back end of the season. Cronulla-Sutherland Sharks – Ben Barba and Andrew Fifita provided the X-Factor for the Sharks. I’m giving them a draw. North Queensland Cowboys – This is a really tough one as the Cows spark from everywhere. I’m going to give it to Jake Granville though. When he surges through the ruck the Cows are unstoppable. Brisbane Broncos – Has to be Anthony Milford. At times, he was the only one making or creating breaks. Penrith Panthers – I’m going to give this one to Bryce Cartwright although Josh Mansour, Trent Merrin and Tyrone Peachey were very close behind. Canterbury-Bankstown Bulldogs – Sam Kasiano had a big impact this year but I thought Josh Reynolds was more impactful, if that makes sense. Gold Coast Titans – No one stood out for me as the Titans play great team football so in the absence of any better candidate I would have to say Ryan James was the biggest impact player. Wests Tigers – This is an easy one, James Tedesco. New Zealand Warriors – Thought this would be RTS for sure but injury and poor form cut him down. Shaun Johnson in the absence of any other viable candidate. St George Illawarra Dragons – It was slim pickings at the Dragons with their attack too often taking on a one-dimensional feel, however, Gareth Widdop was the most incisive. South Sydney Rabbitohs – GI followed closely by Cody Walker. Manly-Warringah Sea Eagles – Definitely Tom Trbojevic. The kid can play. Parramatta Eels – Semi (the man needs no last name) and Bevan French were outstanding on the flanks but Kenny Edwards provided spark off the bench all year long. Sydney Roosters – Unfortunately the Roosters lacked a bit of punch this year but Blake Ferguson was the closest thing they had to X Factor. Newcastle Knights – Dane Gagai was pretty much one of their lone attacking threats with an honourable mention to Nathan Ross. Melbourne Storm – Cameron Munster was the most improved player for the Storm. Canberra Raiders – Tapine did improve as the year went on but Jordan Rapana became one of Canberra’s best and his form for New Zealand has been just as dynamic. Cronulla-Sutherland Sharks – This is a tough one because everyone improved a little but Chad Townsend, Andrew Fifita, Matt Prior and Valentine Holmes improved a lot with Holmes getting the gong. North Queensland Cowboys – Ethan Lowe and Justin O’Neill improved dramatically but Jason Taumalolo went from damaging to one of the best players in the world in one year. Brisbane Broncos – James Roberts probably didn’t improve as much as I thought he would but that could be said for most of the Broncos. Jordan Kahu on the other hand went from back line option to first grade regular, to starting fullback for the Kiwis. Penrith Panthers – Bryce Cartwright did move from prodigious talent to first grade regular in one year but Nathan Cleary rose from U/13s (possibly an exaggeration) to second place in the Dally M NRL Rookie of the Year. His rise was meteoric. Canterbury-Bankstown Bulldogs – Moses Mbye did play better this year but Curtis Rona was the biggest surprise in terms of improvement. Gold Coast Titans – Ryan James did leap a level but Ash Taylor did much the same as Nathan Cleary but for the whole season. Wests Tigers – I haven’t given up on Tim Simona given he is only 24 years old but every time he looks like stepping up to the next level he gets injured. Mitch Moses on the other hand went from faithful sidekick to the headline act. New Zealand Warriors – I know the 2014 season for James Gavet wasn’t a fluke but injuries haven’t been kind to him since then. Struggled to really find a player that leapt to the next level. Bodene Thompson was probably the closest to that. He has flashed promise in previous years with the Titans and Tigers but has definitely found more consistency at the Warriors and was downright dangerous at times on the edge this season. St George Illawarra Dragons – This is a tough one because no-one really stands out in terms of massive improvement so Tyson Frizell by virtue of steady improvement. South Sydney Rabbitohs – Definitely Cody Walker. Q-Cup to a recruiting target of the Broncos. Not bad. Manly-Warringah Sea Eagles – Tom Trbojevic has scooped the pool. Fringe first grader to best and fairest is a fair jump in class. Parramatta Eels – Bevan French took the biggest leap this year. Corey Norman steadily improved for second place. Sydney Roosters – Jackson Hastings suffered the brunt of much criticism this year but had his moments. Dylan Napa probably took the biggest step up for the Roosters. Newcastle Knights – Tariq Sims didn’t even finish the season with the Knights and Nathan Ross gets the nod for this one. He was unheralded but was sometimes the best player on the field for the Knights. As always, it’s been emotional. What is sweeter than Jelly Bread? Four Nations – Sat up to watch NZ vs England and it was worth it. Great match. Can’t see either of them unseating Australia barring a significant level of improvement. Kiwis have form in this area but England will be relying on 2 more weeks under the tutelage of Wayne Bennett to overcome a chronic lack of confidence built up over the last 40 years. Unlikely but not impossible. I remember when the Kiwis were a basket case. NBA season. Just awesome. I really missed the NBA. Four Nations – Got up early to watch Australia vs Scotland and it wasn’t worth it. The gap is just too big. Australia could have put 100 on the Scots but eased off after 25 minutes which made the game more interesting but still not great. Also I understand why Scotland is picking mostly Superleague and NRL heritage players but surely a few players from the local competition (4 teams by all accounts) would bring at least a tinge of authenticity to the team. Next exciting episode will be on Friday, 11 November 2016 titled ‘Kabaddi – I can’t believe I’ve never heard of this game’. This entry was tagged Australia, England, New Zealand, New Zealand Warriors, NRL, Rugby League. Bookmark the permalink.